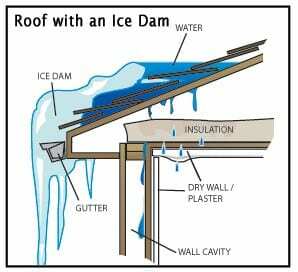 An ice dam is a wall of ice that forms at the edge of the roof, typically at the gutter or soffit point. When ice gutters form, they prevent melting snow from draining off the roof and away from the house. When these factors are in play, snow will melt, and the water will flow down the roof and eventually freeze – forming an ice dam. What are the signs that I have an ice dam? 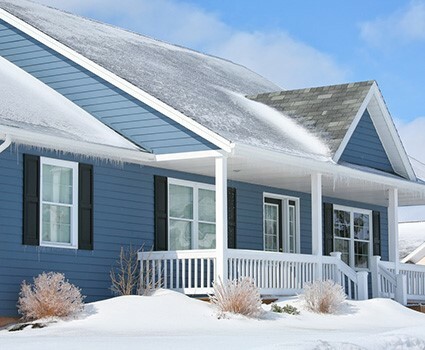 What harm do ice dams cause? Water from melting snow can seep into your house and into walls, ceilings, insulation, and other interior areas. The accumulation of ice (and having it sit there for an extended amount of time) can also cause or worsen wood rot. 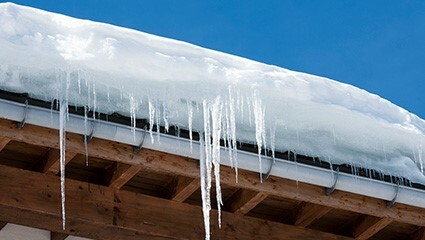 Ice dams can lift roof shingles up, allowing water to leak inside your home and to cause water damage. If attic insulation gets wet, it can become ineffective and a perfect environment for mold to form. Make sure all leaves and debris are removed from your gutters before winter. Keep your attic cold and insulate the attic floor. Check for heat sources, including recessed lights, attic stair openings, ductwork, furnace or water-heating equipment and bathroom vent fans that are not insulated. 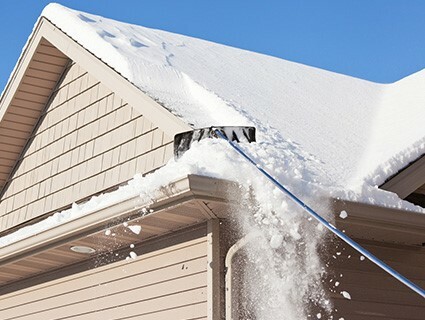 Rake or shovel snow off the roof before it freezes, if it is safe to do so. If you cannot do this, consider hiring someone to come and do it for you. WARNING! Any person on the roof during the winter or performing work on the roof from below is risking injury and risking damage to the roof and house. It is important to contact professionals to carry out this job.